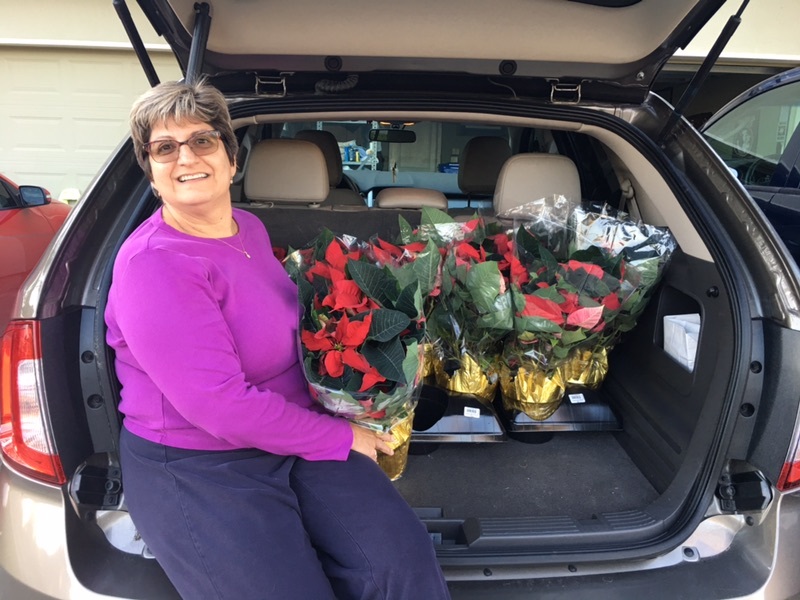 Throughout December, Davidson agents have continued our annual tradition of delivering poinsettia plants to customers and business partners. 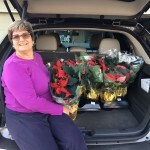 Agents in both our World Golf Village and Jacksonville Beach offices participated in the Poinsettia Pop-bys, delivering more than 100 plants! Davidson Realty just completed its third year of Pumpkin Pop-bys! 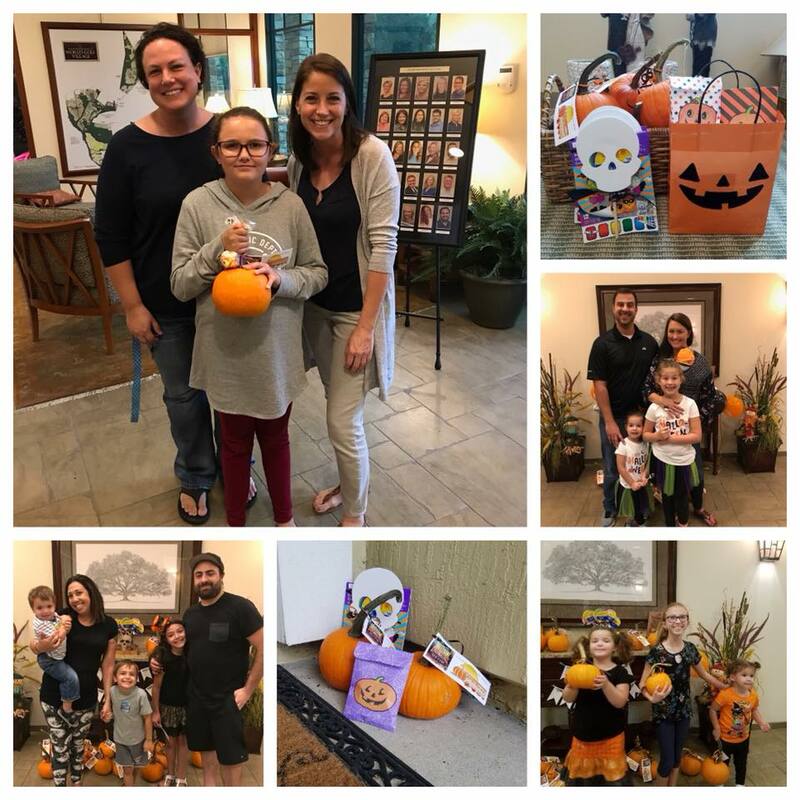 Each year, Davidson Realty agents and staff attach special messages of gratitude to pumpkins and present them to treasured customers and business partners. The effort is always a big hit and this year was no different! This year’s participants included Allen and Lynn Whitley, Mirtha Barzaga, Margherite Myers, Ethel Henry, Rebecca Schaffer, Tammy Peacock, Michelle Sapp, Candy Gil, Michelle Gonzalez and Liz Pappaceno. Bank of England Mortgage’s Troy Silhan even got into the pumpkin spirit! 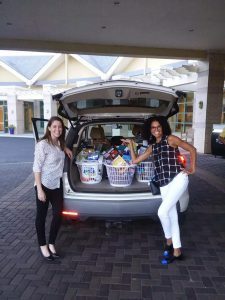 Amid her busy schedule as a Davidson Realtor, Erin Mount recently organized a donation drive for single sailors of Patrol Squadron 45 (VP-45) returning from deployment. It all started when a friend asked Erin for a donation to help returning sailors. She jumped at the opportunity to help—even seeking donations from others to maximize the effort. Friends, local businesses and attendees of the monthly World Golf Village Networking Group all contributed to the drive. 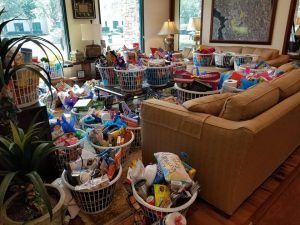 Agents and staff at Davidson also stepped in to help, including Gail George, Terri Apodaca, Liz Pappaceno, Ron Savarese, Mirtha Barzaga, Steve Rodriguez, Ethel Henry, Rebecca Schaffer, Kim Keith, Andrea Gallagher, Mattie Zebendon, Jim Davidson, Rochelle Richardson and Troy Silhan. On Monday, December 11, Davidson agents painted the town red by delivering 120 poinsettia plants to customers and business partners! Agents in both our World Golf Village and Jacksonville Beach offices participated in the Poinsettia Pop-bys. 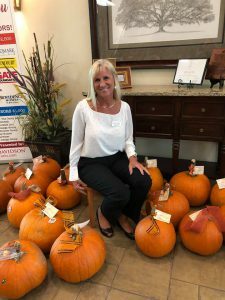 For the second year, Davidson Realty has celebrated the season with an autumn-time staple: pumpkins! 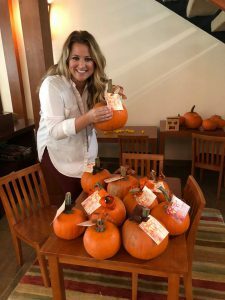 The 2nd Annual Pumpkin Party in late October gave agents an opportunity to connect with past and current customers and business partners by inviting them to the Davidson offices for some fall-themed fun.